This website is dedicated to the memory of Nolan Melchin. We are the family and friends of Nolan Melchin, an energetic, nature loving six-year old boy who lost his battle to brain cancer in March 2013. Our focus is to preserve Nolan’s memory, and to honour a legacy that he would have been proud of. Nolan was genuine, kind and giving. He loved learning, he loved nature, and he loved his family and friends. As a group, we strive to ensure our actions reflect Nolan’s best qualities, in everything we do. Through various avenues, we encourage the education of a variety of causes including childhood cancer awareness, and the importance of blood and stem cell donation. We celebrate his love for nature on each birthday by participating in a group tree planting events with his young friends and their families. At this point, we are not a foundation. 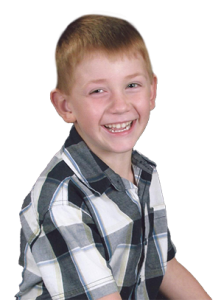 We are simply a group of people, lead by Nolan’s parents, who believe that through Nolan’s memory, we can make positive changes in our community, and teach our children the importance of giving. Your support – in whatever form it might be – is greatly appreciated!